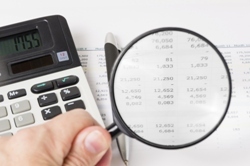 Audit and assurance services require a specialized skill set and the accountants at Anzelc & Associates Inc. possess that knowledge and experience. We offer our services to publicly and privately held businesses across a broad range of industries and to non-profit organizations. Whether your situation requires a review, compilation, or complete audit of your financial statements, we will impart the appropriate level of assurance to satisfy investors, creditors, or donors. No matter what services meet your particular needs, we always employ the highest quality standards in the industry. Finally, if a basic compilation of financial statements with no assurance is all that’s needed, we're ready to assist you with prompt service. Anzelc & Associates Inc. offers quality control, honesty, and objectivity in all our compilation, review, and audit services. Contact our Stow, OH CPA firm now at 330-689-1040 or request a consultation online.